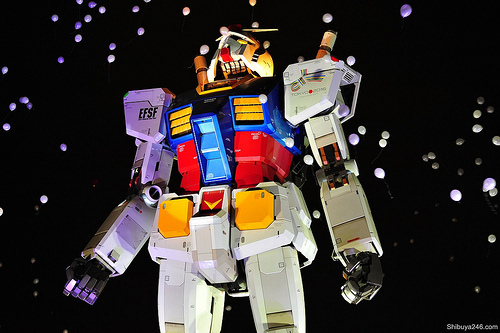 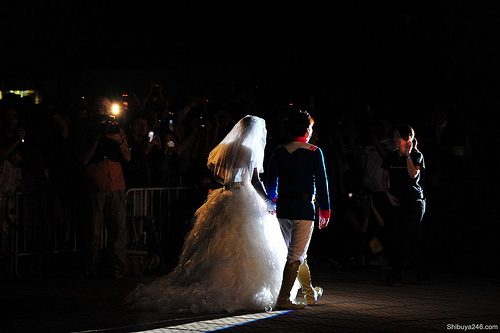 You can't call yourself a fan of Gundam until you've had a wedding ceremony between 1/1 Gundam RX78's legs. 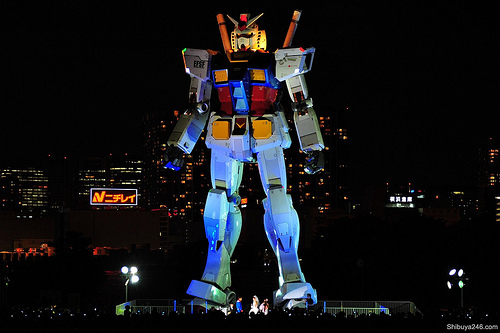 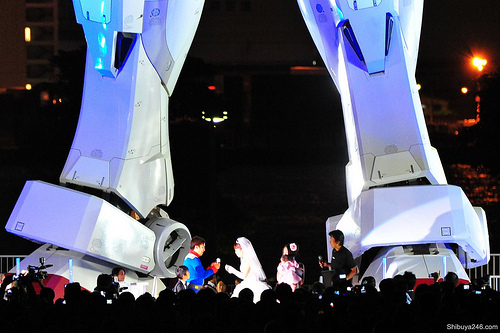 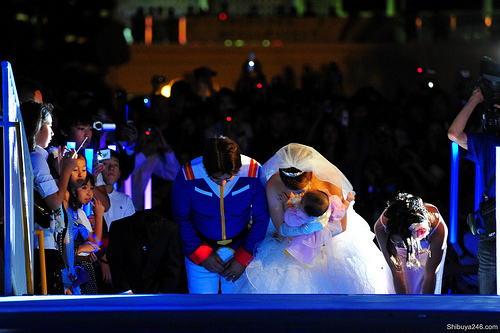 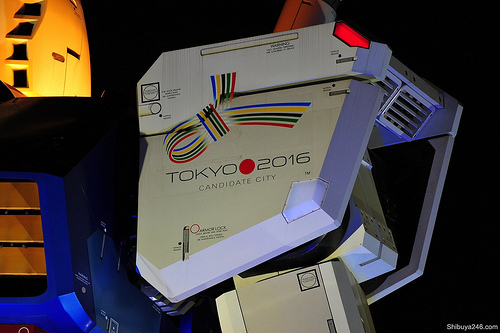 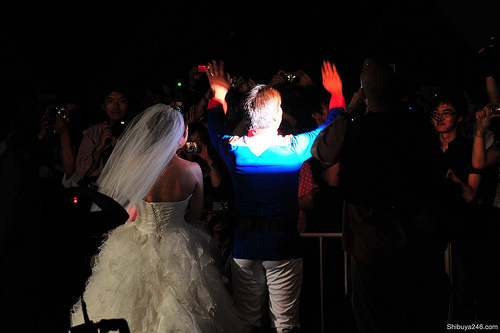 Like this couple here, who just had their wedding three days ago in Odaiba at the base of a gigantic Gundam structure. 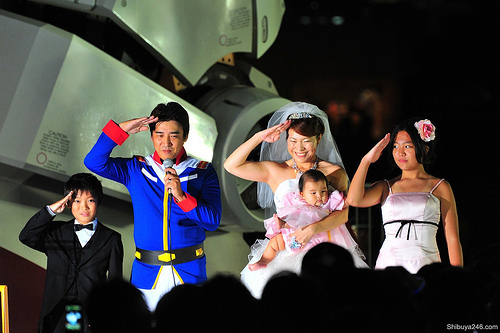 They were chosen out of over 500 entries by the T&G wedding planners and have a newborn daughter named Seira from, you guessed it, the Gundam series.